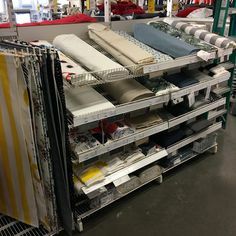 Use it in a Variety of Projects! 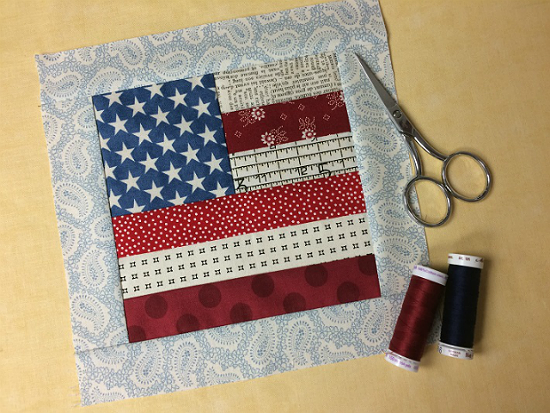 Red, white and blue scraps come together quickly in this festive flag block. 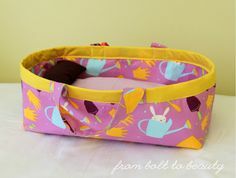 Make one to finish as a pot holder, mug rug or trivet. 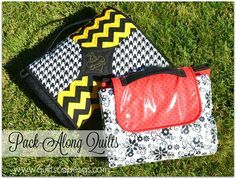 Or make several to combine for a larger quilt. Red and white scraps add interest to the block, while the blue with white stars is perfect. 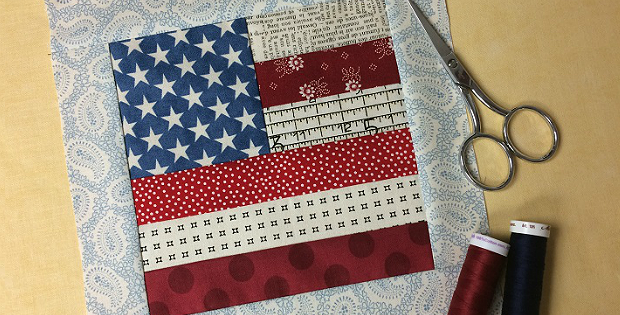 Play with fabric in your stash to create your own rendition of this patriotic block. It’s a very easy block to construct, starting with 1 1/2″ strips. You’ll have it finished before you know it. The finished block, designed by Diane Knott, is 8″ square. 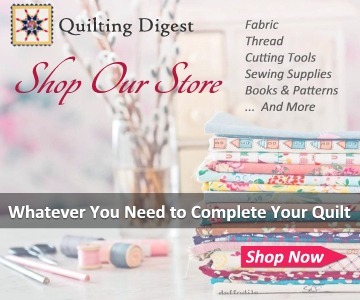 One block that’s layered, quilted and bound is about 8 1/2″ square. 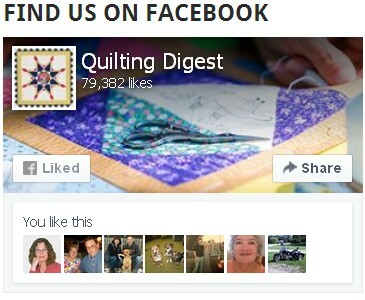 Click here for the free “Stitch a Scrappy Flag Quilt Block for Flag Day!” tutorial.